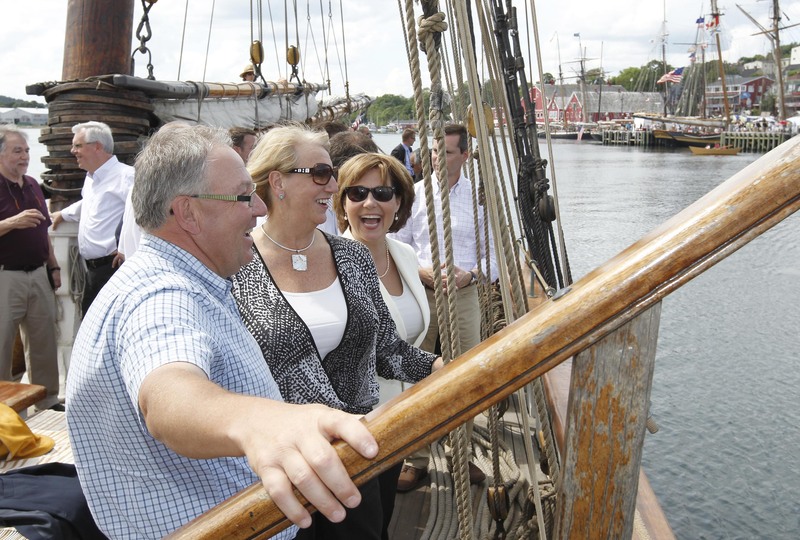 Nova Scotia Premier Darrell Dexter hosted his fellow premiers and leaders of five national Aboriginal organizations for a walkabout with visitors and residents on the Lunenburg waterfront, and a sail on the Amistad during the Tall Ships Festival. The premiers and leaders met today, in advance of this week's Council of the Federation meetings. There are five National Aboriginal Organization leaders meeting in Lunenburg from the Assembly of First Nations, the Inuit Tapiriit Kanatami, the Métis National Council, the Congress of Aboriginal Peoples, and the Native Women's Association of Canada. The Council of the Federation is made up of Canada's premiers. They are meeting in Halifax from July 26 to 27. 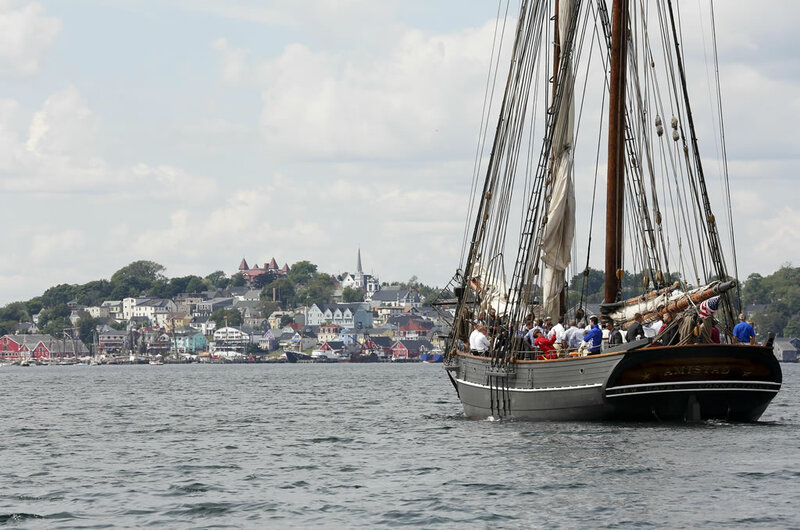 The Amistad is one of seven ships visiting Lunenburg from July 25 to 26 as part of Tall Ships 2012. It is a replica of 19th century topsail schooner La Amistad. The ship became famous when a mutiny was staged by the African slaves it was transporting. Their U.S. Surpreme Court case marked the first time in history that African black slaves won their freedom in an American court. Lunenburg is home of the Bluenose which was built in 1921 as a fishing schooner. She became a celebrated racing ship and is featured on the Canadian dime. Bluenose II, built in 1963, serves as a sailing ambassador for Nova Scotia and is currently undergoing extensive restoration in Lunenburg. 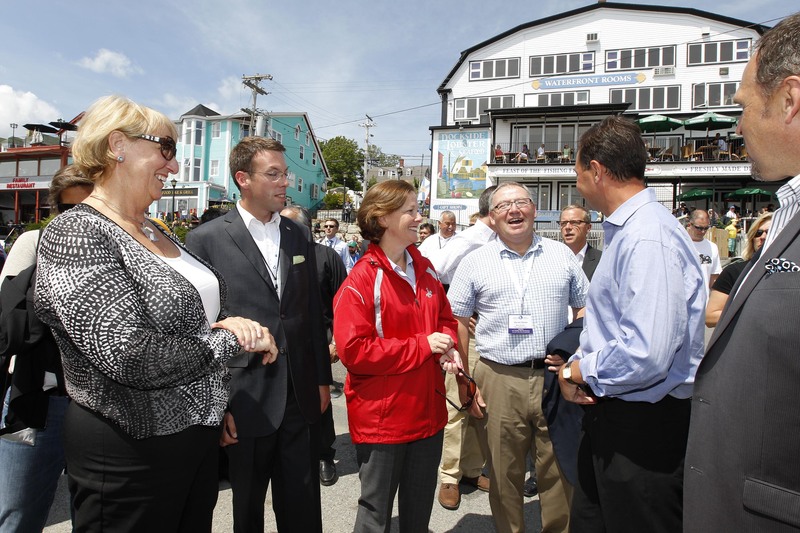 Canada's premiers and leaders of national Aboriginal organizations did a walkabout on the Lunenburg waterfront after their meetings. After meeting in Lunenburg, Canada's premiers and leaders of national Aboriginal organizations toured the harbour aboard the tall ship Amistad. Premier Darrell Dexter hosted his fellow premiers and leaders of national Aboriginal organizations for a sail around Lunenburg Harbour on the tall ship Amistad. 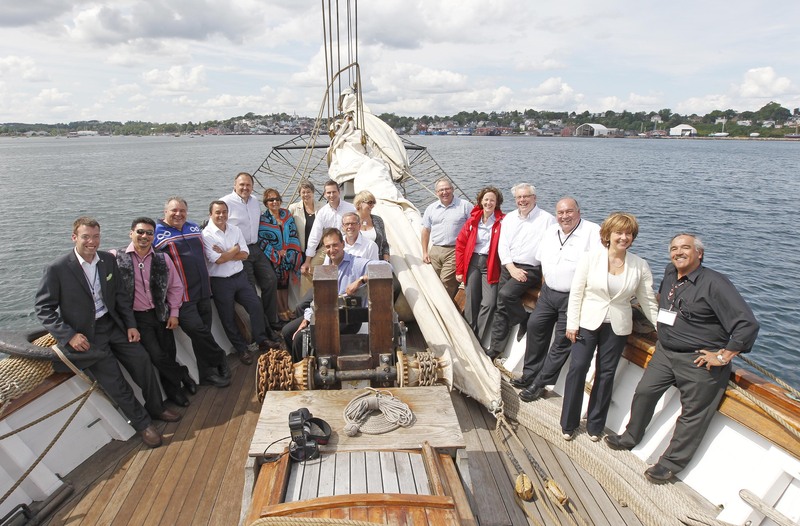 Canada's premiers and leaders of National aboriginal organizations took a sail on the Amistad, which is one of seven ships visiting Lunenburg as part of Tall Ships 2012. 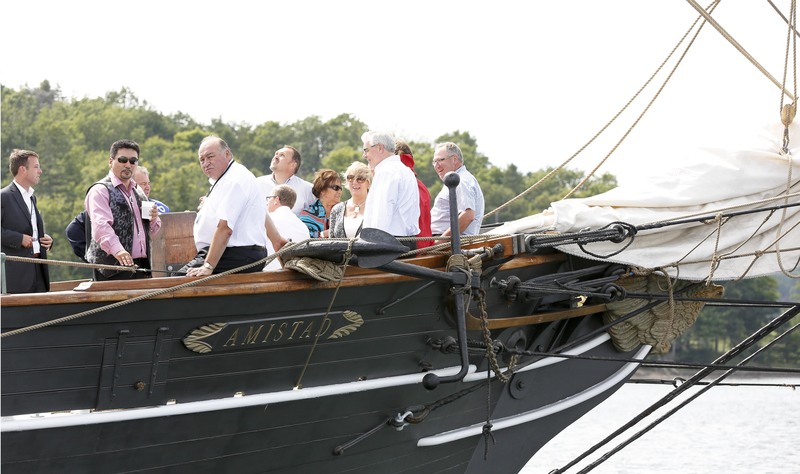 Lunenburg played host to a meeting of Canada's premiers and leaders of national Aboriginal organizations, who enjoyed a walkabout on the waterfront and a sail on the tall ship Amistad.